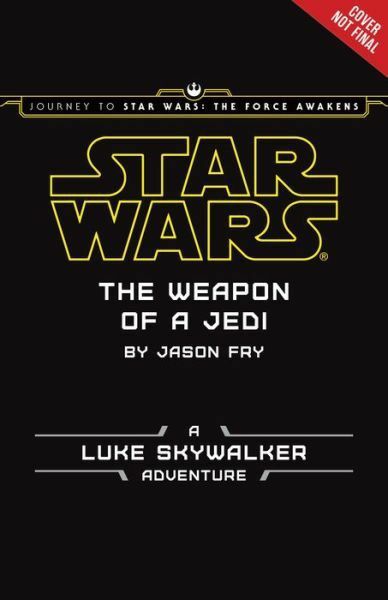 Luke Skywalker returns for an all-new adventure in this thrilling upper middle grade novel. Set between Star Wars: A New Hope and Star Wars: The Empire Strikes Back, the story finds Luke Skywalker, C-3PO, and R2-D2 stranded on a mysterious planet, and explores Luke‘s first-ever duel with a lightsaber. Hidden in the story are also clues and hints about the upcoming film Star Wars: The Force Awakens, making this a must-read for fans old and new! Set between Star Wars: A New Hope and Star Wars: The Empire Strikes Back, the story finds Luke Skywalker, C-3PO, and R2-D2 stranded on a mysterious planet, and explores a dangerous duel between Luke and a strange new villain. A strange new villain? In a book containing hints about The Force Awakens? Count me in. The novel is set for a September 4th, 2015 release date.